Over the years I have given a lot of thought to how the varied voices of donor-conceived people are heard and considered. While I do think that all donor-conceived people’s experiences and points of view need to be included in the donor conception conversation, I also think that they need to be weighed accordingly. Here are a few analogies: comparing things that might, but not certainly, cause harm. If there is a potential for harm, there are precautions/warnings. To be clear: I am not directly comparing donor conception with any of these things. 1. Seat belts. Some people drive around without using seatbelts, and they’ve never been harmed in an accident. We have seatbelt laws because many people who have not used a seat belt have been harmed. 2. Smoking. Many people who have smoked have had no health issues. But because smoking does cause harm to some, we give proper warnings on cigarette packages. Stories of smokers without health issues don’t factor into proper cigarette warning education. 3. Alcohol. Many pregnant women have consumed alcohol, and their babies were born without any health issues. Stories of those women don’t factor into the proper warnings about consuming alcohol during pregnancy. 4. Open Adoption. Decades ago people acknowledged the importance of adopted people knowing about their families of origin. Like donor-conceived people, not all adopted people were curious, but most were. Today, closed adoptions are all but extinct; it’s estimated that only 5 percent of modern adoptions are closed. Because of that, the adoption system continues to evolve. Highlighting and equally weighing stories about people who smoke with no health consequences, or who don’t use seat belts and have never been injured in an accident, or who drank alcohol during pregnancy and had healthy babies, or who have adopted children who were not negatively affected by having no information on their families of origin is not just cause for not warning people about the inherent and potential harm in these situations. So yes, some donor-conceived people are not curious, and some don’t care about meeting their genetic relatives or knowing about their health history or ancestry, but that doesn’t negate the importance of making rules that affect everyone, most importantly the significant number of people who are negatively affected by being kept from this familial information. As with auto safety, alcohol awareness, smoking, and adoption; new data, research, and information need to be acknowledged in order to be able to move forward so that policies can be set to protect all people. Parents and the reproductive medicine industry can acknowledge the new data, anecdotal information, and research so that the ideas regarding donor anonymity can evolve accordingly. There is no data or psychological research that shows anonymity for 18 or more years is in the best interests of anyone. The data, anecdotal reports, and research clearly show that anonymity is harmful to a significant number of donor-conceived people. Anonymity might serve the fears, hesitations, and worries of uneducated and un-counseled parents and donors, and be in the best interests of the sperm banks and clinics, but that doesn’t justify the ethics of the practice. Many people (and certainly the sperm banks) often don’t understand why 20, 40, 100, or 200 kids for any one donor might be problematic. Besides the obvious medical and psychological issues for donor offspring, this perspective from a donor’s wife also needs to be included in the conversation. I would like to ask you to share our story with others in the hope that all sides of sperm donation will receive the attention and respect every side deserves. I feel that if families want sperm donation to be an option, there needs to be education for all involved with regard to the emotional impact-not only at the time of donation/creation but in the years to come when the donor may be building a family in the more traditional sense and the donor-conceived have questions and are seeking the missing part. I read frequently that the donor-conceived do not sign anything when they are created or born and do not have a choice in how they were created. I would also like people to understand and respect that I didn’t have a choice. I never signed anything that said I would be ok with the idea of blending 40 biological offspring and their families into my marriage. My kids didn’t have a choice either. They never signed anything that said they were ok with someday finding out they are one of 40, not one of four. My wish is that women retain the right to have the child(ren) they desire, that any stigma over sperm donation is removed, and that greater consideration be extended because many people are affected by the decision to donate and use assisted reproduction. This consideration should be the dual responsibility of the donor and the recipient family. Let’s make these things happen. “My husband told me on our first date that he was a sperm donor. I asked him if any children had been born, and he said the clinic wouldn’t share that information with him. Seven years into our marriage-we agreed to the clinic’s request for pictures and medical information for the very reason of giving kids who came forward a sense of coming from someone-not a vial. We graciously opened our lives as we recognized the psychological needs of others. The clinic still would not share how many children there were. I would also like to point out that at this point he could have asked to remain an anonymous donor-that would have been his right-but he/we didn’t. Yes, he said he would be open to contact if the child showed interest in meeting him-because we had children of our own at that time and could understand why knowing the person who contributed might prove healing. Again, he was thinking of the donor-conceived kids. Up to this point, we were both operating under the false assumption that it would be a handful of kids. Help me understand what “moral responsibility” my husband or I failed to recognize. Three years after providing the pictures and medical information, a dozen and a half come forward. Today, there are now 40 (that we know of). Over two dozen of those were born before the birth of our first child. When we agreed that he would be open to meeting children who came forward, this is how we thought that would play out based on what we were told by the clinic. Child/parents/family would contact the clinic expressing desire to meet their donor. Clinic would contact us to see if we were comfortable with that. After three, maybe four, we could have decided that was enough and would not welcome further contact from any additional offspring. We would have been able to control the impact this had on our lives. But it didn’t happen that way at all. Social media, person searches, and genetic testing companies have made boundaries and protection of privacy virtually non-existent. He wasn’t “shirking any duties.” He “didn’t forget he was a sperm donor.” He didn’t donate for “easy money” as one poster suggested, and he absolutely thought about his actions. And I am not “jealous.” He did not bring the donor conceived into the world. He brought our four children into the world. He stood by my side as I birthed each one of them. The families of the donor conceived are the ones who brought their children into the world. Let’s not muddy this important distinction-that we create our children with intent and love, that sometimes assistance is needed to make that happen, but as parents, we bring our children into being. From their first breath, we belong to our children and our children belong to us. Our children absolutely do not matter more as people, but they matter more TO US and their emotional health is more important TO US because they came from my body and were created out of our love. Wouldn’t anyone of you say the same thing…that your children rise above all others for one reason-you carried them, you raised them, you protect them? Who would we save first in a burning building? Exactly. Our own. But I guess in our case, I am made to believe that if my husband’s forty-four biological offspring were in that burning house, he would be expected to simply choose a child at random for they are all the same, right? They are all his biological offspring so he should treat them all the same. That is what is being asked of me, of us, of our children. Does anyone see the hurt and pain here? As far as what number is acceptable, what would it be for you? Five? Ten? Twenty? Thirty? More than that? What difference does it make what the donor’s family feels comfortable with. We weren’t told how many births had happened. We didn’t control that number; the clinic did. And I agree with the poster who suggested this clearly demonstrates the need for regulation and more education for all parties. Nobody is saying donor-conceived people don’t matter. I am saying that the best we can do with so many varying needs and wants in the sperm donation community is to respect each other and support each other to the extent that we are able. My experience is my experience. You haven’t lived it so how can anyone pretend to know what learning of 40 offspring has been like for our family? And on the flip side, how can I possibly begin to understand what it feels like to grow up without that sense of coming from an actual person? I think we can all agree that the starting point is changing the process of sperm donation. So let’s do that rather than pummeling each other in posts, placing blame where it shouldn’t be, and making statements about families and people we know next to nothing about. We have the numbers to make change. Until the industry changes, stories like ours will continue to happen and some donor-conceived individuals will continue to be met with rejection and silence. On an ending note, stories of poorly mismanaged sperm banks will continue to come forward. At what point will enough experiences and opinions be shared that men no longer want to put themselves in these complex and sticky circumstances because they don’t want to deal with what other families have gone through? There will come a time at which monetary compensation for the donor will not be adequate for giving away total lack of privacy for the rest of their lives. How much money does my husband deserve for all the hurt feelings this situation has caused us over the years? And how sad will it be when a single woman or a couple who wants to have a baby can’t because men no longer donate? Thank you to those who expressed empathy and understanding. Thank you, Stefani, for sharing your feelings when finding out your daughter had four half sibs. Shock, anger, betrayal, and bewilderment were your words. And she conceived with donor sperm. The fact that this woman could relate to these feelings when she herself carried a donor-conceived child warmed my heart. It tells me that our two sides of this situation are not that far apart. There is a chance to work together to bring about change…for everyone. And here’s a little something for thought…when I donated eggs after we were married, I was required to provide an extensive medical background and pictures even before the process could begin. The recipient was also required to write a letter of appreciation, thanking me for my donation. It was a symbolic way of recognizing that what had once been mind was now hers. I understand when a man donates, there are millions of sperm, and when a woman donates, their might be twelve eggs. But I don’t see why the same standards don’t apply. I still have that letter. My recipient has never reached out, and the clinic shared there was more than one birth. But if she did want to reach out, she would be required to do it through the clinic as she signed a contract to that nature. So clearly I don’t have a problem with the fact my husband donated. I have a problem with the numbers we were forced to digest, after the fact, and the complete lack of oversight on the part of the clinic to address boundaries in a more organized way. I am not disrespecting the 40 children. I am disrespecting the government and state bodies that think that assisted reproduction is a business rather than the art of bringing families into being, and time and time again, operate without any regard for the humanity behind it all. CBS ran their story on the Northwest Cryobank situation I wrote about in my last blog post and the NY Times ran its story on February 16, 2019. It’s my professional opinion that sperm banks’s attempts to keep donor-conceived people from their first and second-degree genetic relatives, by trying to prohibit mutual consent contact on DNA websites and on the Donor Sibling Registry (DSR) has nothing to do with “protecting the donors” as they claim, but rather an attempt to keep their wrong-doing from becoming public. Threatening parents for testing their child’s DNA and for reaching out to first and second-degree genetic relatives to learn more about ancestry, ethnicity and medical history, is a battle that’s already been lost and only a diversion to the real problems and issues at hand within the sperm banking industry. * tracking or limiting the number of kids born from any one donor. The DSR has many groups of more than 100 half siblings, all the way up to around 200. Limiting the number of kids born to any one donor is also not in any the donor contracts, although many donors, including my own, have been promised no more than 10 kids. You can’t limit until you accurately track, which just isn’t done. NW Cryobank is the only sperm bank threatening their donors into not signing up to the DSR to make mutual consent contact. This is deliberately keeping donors from sharing and updating medical information with the families, and visa-versa. The sperm bank’s reason for not allowing donors to make mutual consent contact on the DSR was to “protect the parents” and their reasoning for not allowing parents to “seek the identity of the donor” (DNA test) was to “protect” the donor. The director of Fairfax Cryobank told me that the reason they don’t allow donors from before 2010 to know their own donor numbers (thereby attempting to keep donors from connecting with offspring) was also to “protect the parents”. So it seems like these sperm banks are playing both sides of the field: threatening both parents and donors for their own “protection”. In reality, these policies mainly serve the interests of sperm banks. NW Cryobank/California Cryobank said in their response letter to Ms. Teuscher, “There’s a human being on the other side of the gift”, referring to the donor. Donors sell their sperm and parents pay a lot for a vial of it. No one is “gifting” anything. It’s a commercial transaction- a seller, a middleman, and a buyer. NW Cryobank has taken back the “gifts” that Ms. Teuscher paid a lot of money for. Donor offspring of all ages are testing their own DNA, sometimes completely unaware that they are donor-conceived and they, along with all other offspring, never signed any type of “agreement” prohibiting mutual consent contact with their biological relatives, via DNA testing or via any other methodology. When you submit DNA, oftentimes you are told that you’re 15% or 25% related: so until you reach out to that unknown relative, you just don’t know if it’s a half sibling, a grandparent, a cousin, or an aunt or uncle. It’s time that sperm banks shift their decades-long great effort and focus from attempting to keep donor-conceived people from connecting with their first and second-degree relatives to learn more about their ancestry, ethnicity, and medical backgrounds to understanding, acknowledging and addressing the needs and rights of these people. We invite the sperm banks to read the two-dozen research papers that we’ve published in peer-reviewed academic journals that address the psychological and medical impact of donor anonymity and the importance of these connections. Additionally, it’s urgent that the banks stop the practice of promising/forcing anonymity in all parent and donor sperm bank contracts. Donor anonymity ended in 2005 when the first donor offspring located his donor via DNA testing. We invite all sperm banks to act in a more ethical manner and call for honesty, accountability, and responsibility within the industry. We’ve been hearing disturbing accounts of NW Cryobank threatening donor families for DNA testing. In the past, this sperm bank has also prohibited its donors from using the DSR to make mutual consent contact, thereby prohibiting offspring from learning more about their ancestry, ethnicity, medical backgrounds, and close genetic relatives. Recently, one mom has been threatened with a $20,000 fine: $10,000 for testing her daughter’s DNA (“seeking the identity of the donor”) and another $10,000 for reaching out to relatives on the DNA website. Another mom found out via DNA testing that she was given the wrong sperm and was also threatened in regards to reaching out to her child’s genetic relatives on the DNA website. Instead of acknowledging the serious error of shipping the incorrect sperm, the sperm bank instead told the woman that she could not use the DNA connections to try and piece together which donor’s sperm she’d actually been sold. The​ sperm bank contract prohibits “seeking the identity” of the donor, so apparently, “seeking the identity of” and DNA testing are one and the same to the cryobank. People around the world test their own or their child’s DNA to find close genetic relatives, to get medical information, and to learn more about ancestry, ethnicity, countries of origin, and to build family trees. Why would donor offspring have fewer rights than any other segment of the population to test their own DNA? Offspring of all ages are testing their own DNA, sometimes completely unaware that they are donor-conceived and they, along with all other offspring, never signed any type of “agreement” prohibiting mutual consent contact with their biological relatives, via DNA testing or any other methodology. Additionally, when you submit DNA, oftentimes you are told that you’re 25% related: so until you reach out to that relative, you don’t know if it’s a half sibling, a grandparent or an aunt or uncle. Why are these moms being threatened for testing their child’s DNA when so many have already done so and reached out to their unknown genetic relatives? Many formerly anonymous donors welcome the contact, while others choose to say, “thanks, but no thanks”. But you just can’t know if the person that you match with is open to connecting until you actually reach out. Shouldn’t everyone be able to both make and explore their own and their child’s DNA connections? The sperm bank’s reason for not allowing donors to make mutual consent contact on the DSR was to “protect the parents” and their reasoning for not allowing parents to “seek the identity of the donor” was to “protect” the donor. So it seems like they’re playing both sides of the field: threatening both parents and donors for their own “protection”. In reality, these policies mainly serve the interests of the sperm banks. All sperm banks have some sort of a clause prohibiting people from connecting as keeping genetic relatives from each other allows them to continue lying: about numbers of offspring per donor, about “lost” records, about sperm mix-ups, about reaching out to “open” donors, about medical information, etc. All appear to be unenforceable as people have been connecting on the DSR since 2000, and via DNA and via other search methods since at least 2005. No such lawsuit with a donor who donated through a sperm bank has ever happened. My own son was the first donor-conceived person to locate his donor via DNA testing in 2005. Our sperm bank, California Cryobank who is owned by the same parent company as NW Cryo, and the sperm banks of many others, has never previously threatened people from DNA testing. We assumed that they seemed to understand that they would be trying to shut the barn door on a horse that got out a long time ago. Yet now Califonia Cryobank is also reaching out to parents, trying to enforce the “no DNA testing” rule on donor families of its sister sperm bank, NW Cryo. Why? The Donor Sibling Registry currently has 3,570 donors on its website. Donors from NW Cryobank are also threatened from posting on the Donor Sibling Registry in order to make mutual consent contact with the families. They are the only sperm bank that has not a single donor posted, after one did so in 2007 and was threatened by the sperm bank, and promptly removed his posting. Sperm banks continue to try and to enforce these self-serving rules to both the people desperate for children and the young college students needing money. For the sake of the offspring, it’s time for both parents and donors to be properly educated and counseled at the front door of the sperm bank or clinic. They need to know about DNA, anonymity, and the importance of making donor family connections, so that they all have the opportunity to make fully educated decisions. 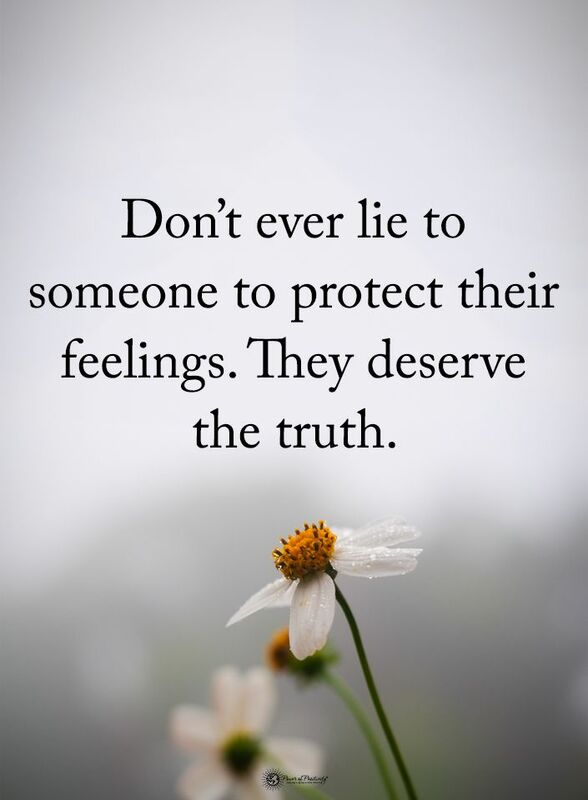 We recommend telling donor-conceived people the truth about their conception very early on (pre-verbal) so that there is never a traumatic “telling” or “finding out” event. When your child understands how they were created right from the beginning, it just becomes a part of who they are. And additionally, having the opportunity to connect and know their first and second-degree genetic relatives right from the start can be enriching. We don’t wait for our child to be grown before introducing them to their aunts, uncles, cousins or grandparents, so why not let them grow up knowing their half siblings and even their other biological parent and his or her family? But some parents don’t know how to tell (see my new children’s book) or are fearful of telling because they’re protecting a non-biological parent, afraid of disrupting the family dynamic, and/or afraid their children will feel anger or pain, so they wait and wait, until their children are teens, or even older. As a result, many families who have kept the secret are now struggling as donor offspring are now finding out the shocking truth via DNA testing. There is a remarkable difference in how older children and adults respond to the news depending on how much parental support they get after they’re told or find out on their own. then that child may have a much more difficult time. Older children, teens, and adults should not be left to process this new information on their own. They need to know that any feelings they might have, including confusion and anger, are to be expected and will be fully acknowledged. If they are fearful about expressing their true feelings because they’re afraid of hurting their parents that could cause a harmful disconnect in the parent-child relationship. If your older child says that she doesn’t want to talk about it and shuts off all communication about it, then you need to be checking in on her regularly, as internalizing any distress can be harmful in the long run. Refusing to talk about it may indicate that there is some family work to do together. Your prior secrecy might imply that there was something shameful about the way your child was created. It is your job to make sure that this is not a fact about herself that she is ashamed or embarrassed about. It’s also your job to normalize this news, frame it in the most positive way possible, and then be willing to support your child as she processes the information. If your child is angry with you, that’s not something to be turned away from, but something to face, full on. Apologize. Own it. Ask your child how you can best support them so that you can move forward together. You can and will work through it. I regularly counsel with people who are just about to tell and with those who have just told, so I know that telling can be a very healing experience for the family – when parents are prepared to put the feelings of their child ahead of their own. The burden of this secret is not for the parents to carry, and the truth is owed to the child. My mother told me when I was 18 and as soon as she told me it all made sense – it was the big secret that was ever present my whole childhood. I think that had they told me earlier many things would have been different for me and for both of my parents. My parents are smart, free-thinking individuals, who have a history of challenging authority in different ways, and yet where donor conception was concerned, they followed the doctors’ advice and kept it a secret. I believe now that they regret this but that it is engrained for them. They have more guilt around this than I do. And they still have a really really hard time talking about it openly. I think that one major way that it has influenced my life is my deep-seated believe that in meaningful close family or friend relationships it is essential to not hide anything. I found out at 15. I’m 34 now, and FINALLY getting my life together. I’ve felt lost and alone and felt like I had my identity ripped from me. Teenagers are ALL going through identity issues. Teenage years are when kids really establish their identity. I was told that I was donor conceived when I was 12 or 13 years old. I remember at the time both my parents were upset and crying, but as a pre-teen, I acted like I was fine and didn’t really ask any questions, just said it was fine and did not change anything and hugged my parents and went to my room. I knew about it from the time I knew about anything else in my life–it was a part of me. I’ve always considered my dad my dad just as my mom is my mom. I’m close to my half siblings. I only just found out I was donor conceived about 3 months ago. I am 33 years old now, so it was completely shocking. Learning this turned my whole world upside down. I am doing better with it now, but I believe it has influenced me my whole life without me knowing it. I also think it’s insane to lie to your child about such a basic and fundamental truth, and can only begin to imagine the way this shaped my relationship with my parents. I took a DNA test 3 years ago, and was really surprised by my results. I never would have imagined my Dad wasn’t my biological father. I feel sorry for the little girl in me that wasn’t allowed to have access to her truth. I think the betrayal is the worst part, but I can imagine that even if my parent’s had been honest with me it would have been very confusing to learn this as a child or teen. Hi! I’m 24 and recently found out I was donor conceived less than a year ago from 23andme when I very unexpectedly matched with a half sister – so this is my take on this. Like you, my parents did not tell my brother nor I, and although they “wanted” to (and I say this loosely because I think they only really said this after they got caught – but I do know their doctor advised them not to tell), they didn’t want to upset me during my teenage years. Fast forward to now….I was devastated and am still devastated. My mom was my best friend and to this day I feel completely and utterly betrayed, and it put a huge rift in our relationship that I feel will never be fixed. I thought and told my parents that I was adopted from a very young age (~5). I figured out I was donor conceived on my own 21 years later. I definitely had a weird feeling that I didn’t belong to my parents but they were very convincing that it was just in my head. As soon as I realized I was DC, it all clicked. I always wondered if I was adopted or my mom had an affair. There was definitely a weird feeling, like I was unlike the rest of my family. I thought I was a fluke. Tell her now, the longer you wait the harder it is for everyone–especially her, which, should be most important considering she is the one who has a right to know who she is and knowledge of her own genetic composition!! Read Wendy’s book and tell her. No other way around it. The only good time is when they’re little and they grow up knowing it. As a 35 yo DC just told, what I wouldn’t have given to have known sooner, especially as we go through our growing years and choosing careers and lives moving forward. Just do it. My parents tried at various points to tell me that I was donor conceived but it obviously bothered them and it was one of many things we didn’t talk about. It seemed like a secret they were ashamed of. I don’t mind people knowing but given how much they hate it I usually keep quiet about it. My parents are both loving and it’s clear they wanted me, but they react inconsistently so it’s difficult to talk to them about difficult things, this being one of them. I guessed [my dad] was not my biological father at age 10-11. When I had guessed he wasn’t my bio father, my mom had simply said “I didn’t tell you that, don’t ever bring it up again”. It was life-altering for me. I all but convinced myself as a teenager that the reason my mom had told me to never bring it up again was because if my dad found out I knew, he wouldn’t have to pretend to love me anymore. A lot to think through as a teenager! I found out at age 28 through AncestryDNA, which I signed up for because I had suspected my dad wasn’t my biological father my entire life. I wish so badly that my parents had just told me as a child because growing up I was so different from them and my siblings but didn’t have any way of explaining why. It made me feel like an outsider in my own family, and I felt like I was crazy. Having this information from an early age could have drastically improved my quality of life growing up. This is an important truth of our existence. The shame or discomfort you may feel about telling your child is nothing compared to the gaslighting and distress we experience from being lied to our whole lives. My mother told me at age 18 very abruptly. After the initial first discussion, it was never brought up again. I felt alone, angry, sad, and confused. I had no one to talk to about what I was going through. I have spent the past five years of my life trying to process those emotions and thoughts alone with no follow up from either of my parents. I was scared to ask questions. I didn’t know where to start or what to ask. Not only is bringing to the truth to life important but also being there for your child after they know is. There will never be a “perfect” or “right” time to tell your children. I wish that someone had chosen to be honest with me when I was younger because we could have avoided these past five years of intense emotions and confusion for me. P.S. Follow up with them! Do not wait for your child to do a DNA test and find out on their on that you withheld this information. I am the mother of an awesome 10 year old donor child. I know that he has at least 3 donor siblings and would love to contact them. We are looking for Donor #1058 from the California Cryobank. I hope that this board will serve others looking for their children’s (or their own) siblings. Our half sibling group hit the “spreadsheet moment” this year when my son got his 11th half sister in March. Two more came along in June and then two more in July. I had heard about many other DSR families having Excel spreadsheets, as once you surpass a certain number of half siblings, you might not remember clearly all of their names along with their birthdates, locations, places of birth, families, and other vitals. *8/4/18 Update: one more 1058 half sister added to the group! *1/13/19 Update: another 1058 half brother added to the group (now at 17)! *1/18/19 Update: another 1058 half sister added to the group (now at 18)! Because all reporting is voluntary, and because sperm banks want to sell as much of a donor’s sperm as possible, they just do not have accurate records on the numbers of births. In 2000, when California Cryobank told us that there were three half siblings, at least 15 others had already been born. And another donor who donated to CCB in the 1990’s reported to me yesterday that he knows of 27 children, so far. This also happened to me. CCB also had no record of Ryan’s birth several years after I reported it myself. And when we visited them in 2011 they had no records of the three half sisters that had all participated in national media stories with us. Even Ryan wasn’t included in their records. So without mandatory reporting (reporting oversight/regulations), ALL sperm banks will continue to have incomplete record keeping of how many kids are born for any one donor. My donor donated for 5 years. That’s literally hundreds, if not thousands of vials of sperm, as each donation (agreements are for 2-3 times/week) can yield between 4-24 sellable vials. [Seriously, the math is scary]. While each new half sibling is warmly welcomed into our group, I hope, for the sake of my son, his half siblings and their biological father, that the 1058 group doesn’t reach epic proportions[100-200], like many others on the DSR. Fast forward to 2004: When a DNA testing company contacted us, asking if Ryan would like to test his DNA to possibly find out more about his ancestry and his paternal countries of origin, we jumped at the opportunity. We both felt that any information that a DNA test could provide about Ryan’s ancestry would be welcomed. Neither of us, nor the DNA company ever entertained the idea that Ryan’s biological father might be found using this new genetic testing technology. At first, the DNA test did provide some interesting information about where Ryan’s paternal ancestors hailed from. He thought that was cool, and we both thought that was the end of it. Nine months later though we were shocked to receive notification that Ryan had matched with two very distant relatives. It was with the last name of these two Y-DNA connections, a public records search, and Google, that in a very short period of time lead us to Ryan’s biological father. The irony didn’t escape us—here were the two founders of a mutual consent contact organization for connecting donor-conceived people with their first or second-degree genetic relatives, and now we had, almost by accident, tracked down my son’s biological father—a guy who had not signed up for any type of contact. Ryan had become the first donor-conceived person to locate his donor via DNA testing. He might have been the first, but definitely not the last, as he opened a door that never could be closed again. Since then, we’ve been sending DSR members to DNA testing both to confirm relatedness with possible relatives found on the DSR and to supplement their search for their biological parents. This is particularly common for those without the luxury of a donor number, many of whom are born between the 1940’s and 1980’s. More recently, adult donor-conceived people, many of whom had no idea of this fact until they swabbed their own cheeks, are coming from the other way, from the DNA testing sites to the DSR to make their connections after finding out the very surprising news that one of the parents who raised them wasn’t in fact biologically related to them. Many who were unaware (including several half siblings of Ryan’s) are doing DNA testing for a variety of reasons: family tree curiosity, it was a gift, for medical reasons, a passion for genealogy, they suspect there’s a secret, looking for someone else in particular, etc. The level of shock, disbelief, surprise, curiosity, and confusion vary among these people who most often had no idea about their donor conception. It’s now very common for DNA testing to provide first and second-degree genetic relatives and these results are exposing long held family secrets. These secrets don’t just affect one person, but rather, can affect entire families. Parents who thought they’d keep the secret of using a donor are now being confronted by children who wonder why their parents were not truthful with them. For Ryan’s half siblings who do not yet know the methodology 0f their conception (there are a few), we feel that it’s only a matter of time until they too make their way into the CCB 1058 half sibling family which is now at fourteen. Establishing new friendships and familial relationships via DNA, with people who aren’t necessarily prepared for this type of new-relative connection, can be a very different experience than making deliberate mutual consent contact on the DSR. For the most part, people who connect via the DSR are delighted to connect with each other. On the other hand, connecting via DNA can be so shocking, that some are just not prepared to even reply to messages from their new-found relatives on the DNA websites. For those waiting for a reply that never comes, this can be difficult. People add postings on the DSR for a variety of reasons and the level of desired contact can certainly vary. We have thousands of members longing to establish relationships with their own or their child’s half siblings, offspring hoping to find their biological parents, and donors hoping to connect with their biological children. Some members only want to connect to share and update medical information. And many land somewhere in between -uncertain as to what type of contact and relationships they’re looking to establish, but are willing to explore the possibilities. While the level of desired contact might vary, by searching on the DSR you can be assured that any results you’re provided come with the certainty and confirmation that the person you’re connecting with will not be shocked by the news that they are donor conceived, and chances are, they’ll most likely be thrilled to have made the connection. When a DNA test unites family members, not everyone is happy about it. While we feel that it’s extremely important that all stakeholders are properly educated before (and after) donation/pregnancy, we realize that not everyone is interested in reading a stack of academic articles on the subject. Additionally, those who provide counseling services to the stakeholders and those thinking critically about the issues in regards to setting policy might also have fallen behind on the latest research. This is why we put together the Donor Sibling Registry’s new Research Tree booklet– a summary of some of our peer-reviewed/published research papers. It’s the “Cliff Notes”, if you will, of research, studying all those in the donor family: the parents (biological and non-biological) of egg and sperm donor children, the egg and sperm donors, the offspring, and even the parents of people who have donated, the “donor grandparents”. The link to the Research Tree is also on our Research Page and Printed Material Page of the DSR. We’re having a few hundred booklets printed too, so you can email me at wendy@donorsiblingregistry.com if you’d like printed copies. There has been a recent (heated) conversation on the Donor Sibling Registry Facebook group page about the Parent-On-A-Chain Jewelry. When POAC founder Jennifer Moore first introduced the idea to me last summer, I liked it. I then ran the idea by our board (a former sperm donor, another mother of a donor child (LGBT), a donor-conceived person, and a mental health professional) at our annual meeting last summer and they all thought it was a great idea too. They all agreed that the DSR could get behind it, especially since some of the profit would be donated to the DSR. I also ran it by a lot of other people (all stakeholders) in the donor community and received only positive feedback. The DSR was created to facilitate and celebrate the connection between half siblings. Many people proudly wear these necklaces to do just that: celebrate the connection that they have with their half siblings. Some donor-conceived people have felt the need to get their donor number tattooed onto their skin – a sperm donor number onto a foot, an egg donor number onto the back of a neck. I imagine that for most donor-conceived people, they’d prefer to wear a necklace, rather than get a tattoo. Some donor offspring have recently expressed their dislike of the necklaces, and I do understand why. But I also acknowledge those who might wear the necklace instead of a tattoo to acknowledge the importance of the missing/unknown one half of their ancestry, genetics and first-degree genetic relatives. Or they might wear the necklace to celebrate the bond that they have with their half siblings. We’ve conducted quite a bit of research on donor-conceived people over the years, from many different surveys, some with as many participants coming from outside as inside the DSR. There is always a huge variance in how donor-conceived people view their conception – some are very angry, some are just fine, most are somewhere in-between, and many vacillate at different times in their lives. For parents whose children don’t struggle or who are not angry, it can be hard to understand why some donor-conceived people are so angry. So, in regards to the necklace, some offspring see it as a celebration of the connecting they’ve had with half siblings. Some see it as an important statement about their profound connection to their unknown biological parent, and that number is the only solid representation of that missing person that they have. Some see it as both. And some offspring don’t like the necklace, because they feel that it’s somehow celebrating the act of deliberately cutting one off from one’s genetic origins. So, I get it. For those who see the necklace as a negative, don’t purchase one. For those who see the necklace as a positive, we invite you to check out the options.